one of the most important aspects of landscape photography is keeping as many details as possible within the sky. Often in my classes , I am asked a reoccuring question by my students, “when I take a picture of a lovely sunset, my camera dosen’t seem to record the clouds, why does this happen”? Most cameras have a very limited dynamic range, this means how much detail they can record from the darkest part, to the brightest part of a scene. A normal scene can have up to 20 stops of dynamic range. Most cameras will and can only record around 8-10 stops of detail. This means that anything that does not fit into this range will be represented as a ‘blown out highlight or a clipped shadow’. To answer this dilemma and improve the range of details recorded in each image, it’s very simple.When out and about shooting, all you need is a Neutral Density G radiated Filter or an ND Grad Filter. 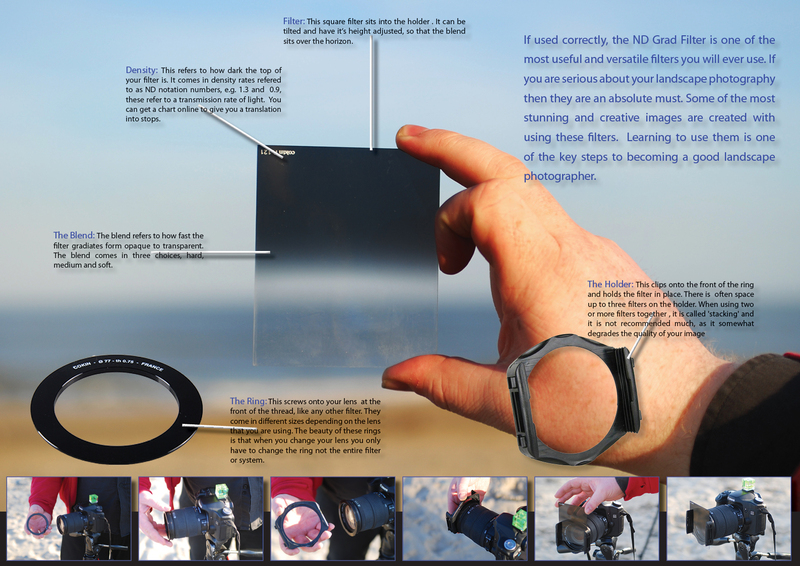 So What Is An ND Grad Filter? An ND Grad Filter is used to compress the dynamic range of a scene. The top half is dark , and the bottom half is clear, with the dark half slowly blending (gradiating) into the clear area. This will darken down the sky part of your scene keeping your cloud and sky details from blowing out. The results can give you fantastic colours and depth to your image. Are All ND Grad Filters The Same? Not at all. They come in all shapes and sizes, as well as part of different filter kits. They can also come in a variety of different densities (how dark they are), with a range of different blends (how fast they transition from dark to clear). The quality of the filter can differ massiviely depending on the brand or system that you purchase. Can You Recommend A Good Filter For A Beginner? If you are not using very expensive and high end lenses, for example, Canon L Series or Nikon Gold Rings, then I would recommend the ‘Cokin System’. The Cokin System comes in three parts, the ring, the holder and the filter itself. The entire set will set you back in or around €50. The set is ideal for beginners, or for casual landscape photographers. However if you are using expensive glass then you might want to consider upgrading to the Lee System. This system can cost you up to €300, depending on the option you go for. If used correctly, the ND Grad Filter is one of the most useful and versatile filters you will ever use. If you are serious about your landscape photography then they are an absolute must. Some of the most stunning and creative images are created with using these filters. Learning to use them is one of the key steps to becoming a good landscape photographer. If you interested in learning to use these filters on a hands on trip as well as a ton more about landscape photography in Ireland then why not join us on our Kilfane glen and waterfall landscape photography excursion. here you will learn all the hands on practical techniques to get the most out of your filters and when, how, and where to use them. 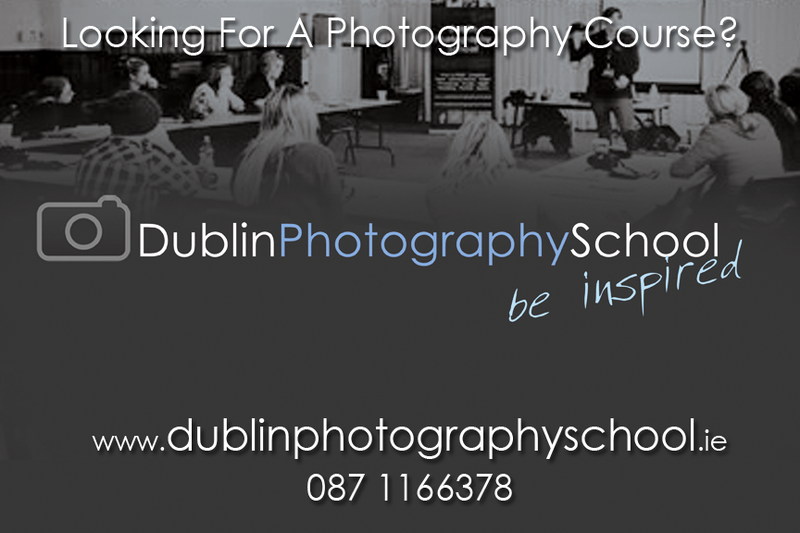 For information on all our “photography courses dublin” then have a look here.